Are you a dog person or a cat person? Now you needn’t decide. 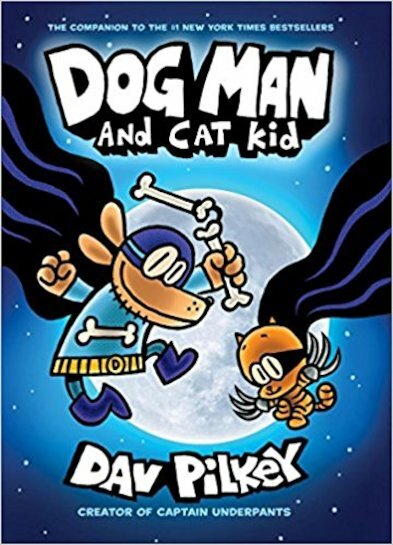 Dog Man has a new kitty sidekick! Usually, Dog Man isn’t terribly keen on cats. (You can probably blame Petey the cat burglar for that.) But now this heroic hound with his keen nose for justice has a furry new sidekick. Miaow! That’s right: a super-cute kitten is joining the fight against crime. Can this purrfect pair solve the mystery of a missing movie star? And what’s the deal with the strange new kitty-sitter in town?